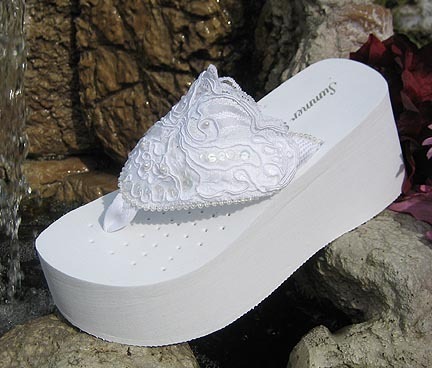 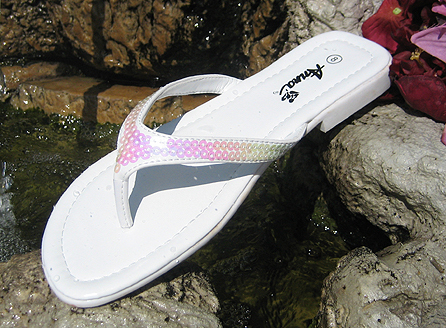 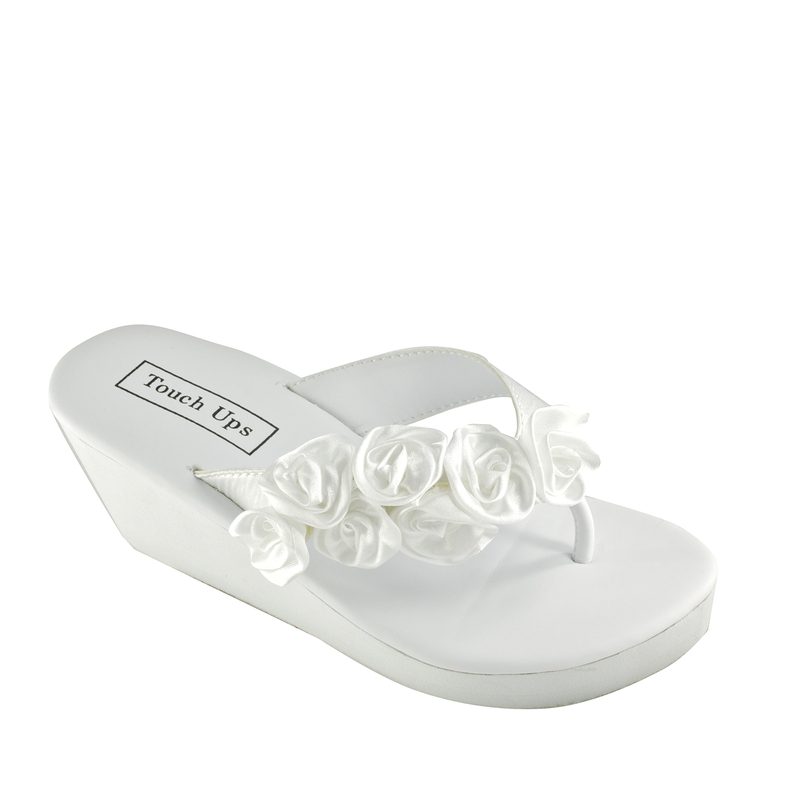 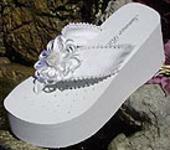 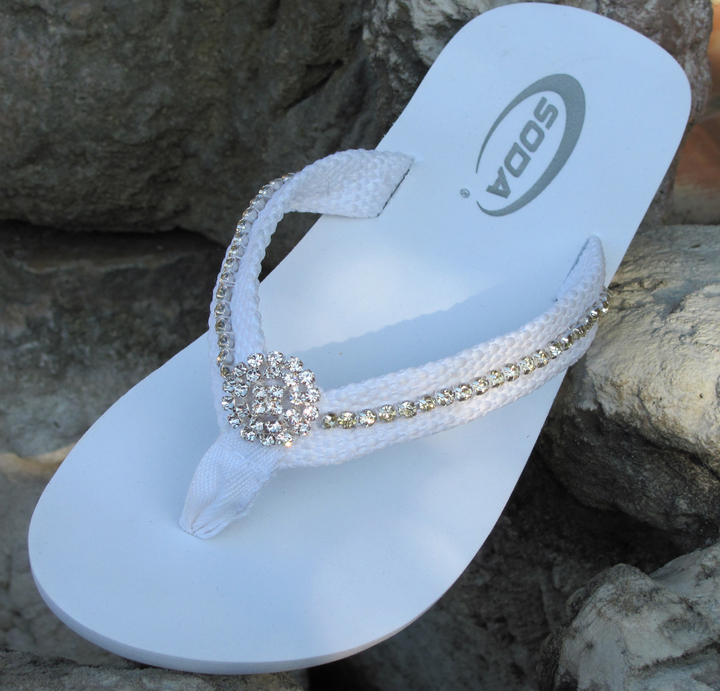 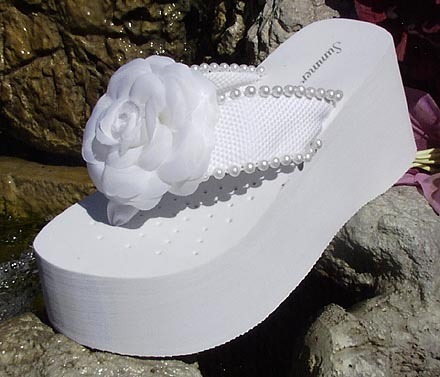 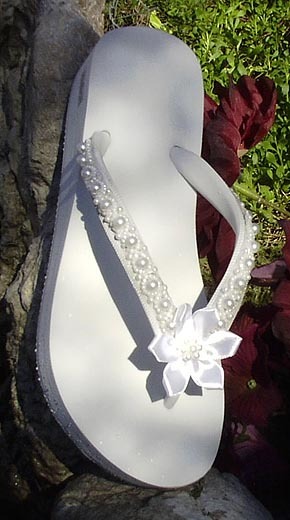 White Flip Flops with 1/4" heel and sequins lining the straps. 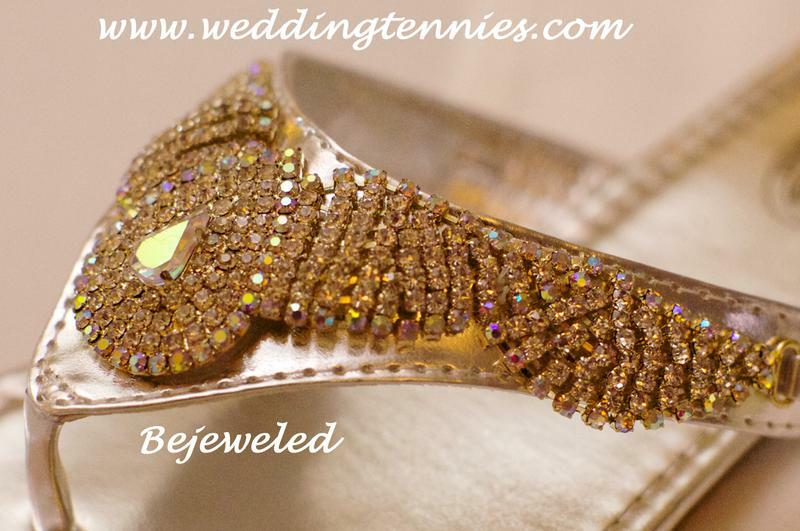 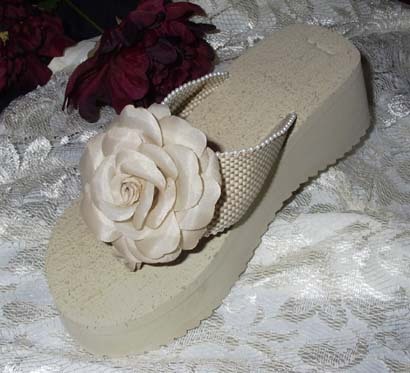 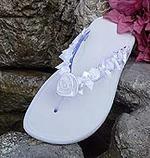 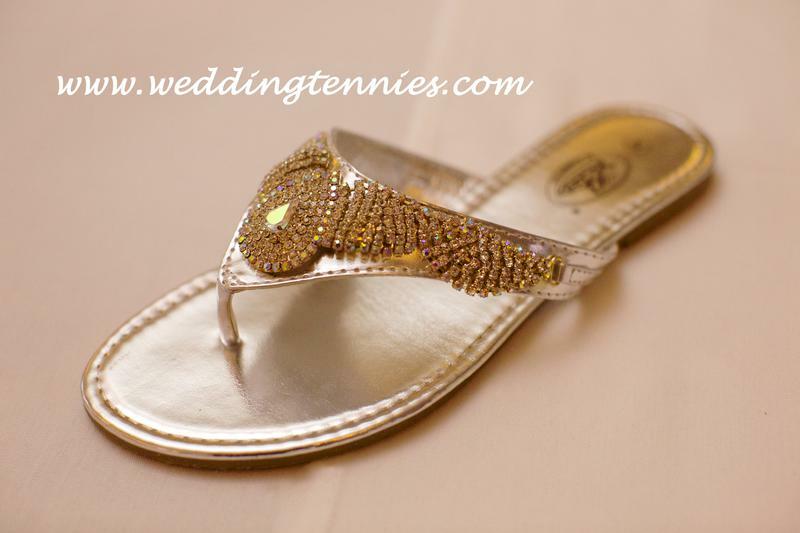 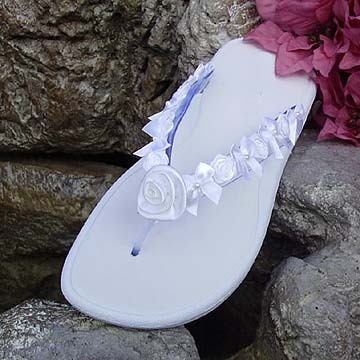 Click Here to See our Custom Colored Flip Flops for Bridesmaids! 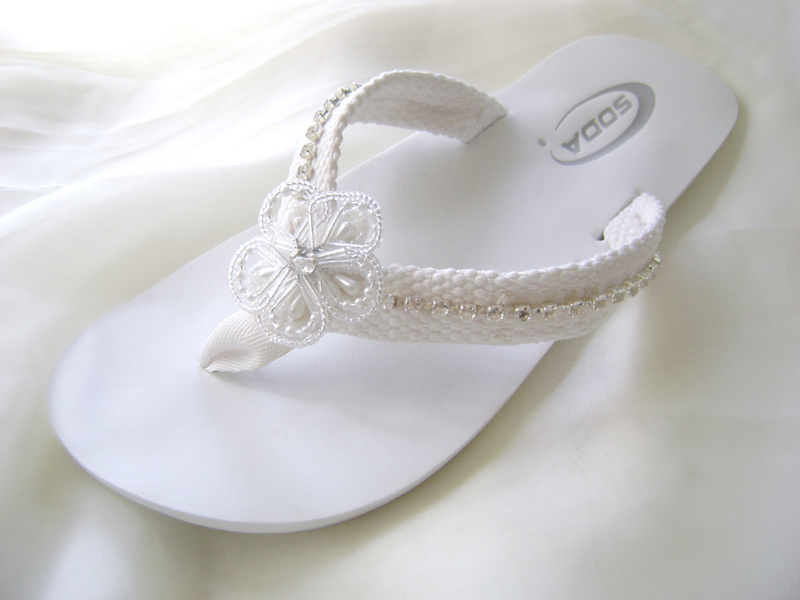 Coordinating Pearls line the fabric side straps with a Satin Corded Flower at toe. 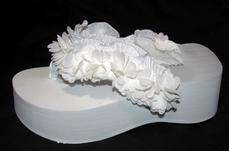  Ivory styles on Page 4! 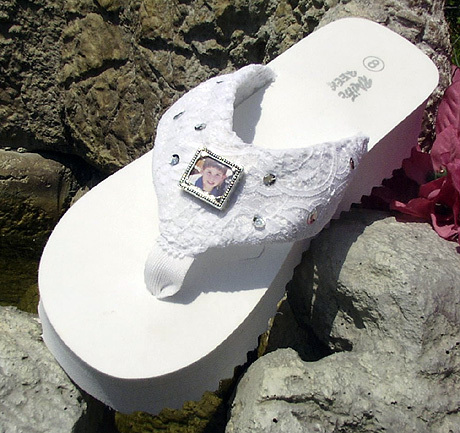 Memories Platforms -- Loved One Can't Be with You? 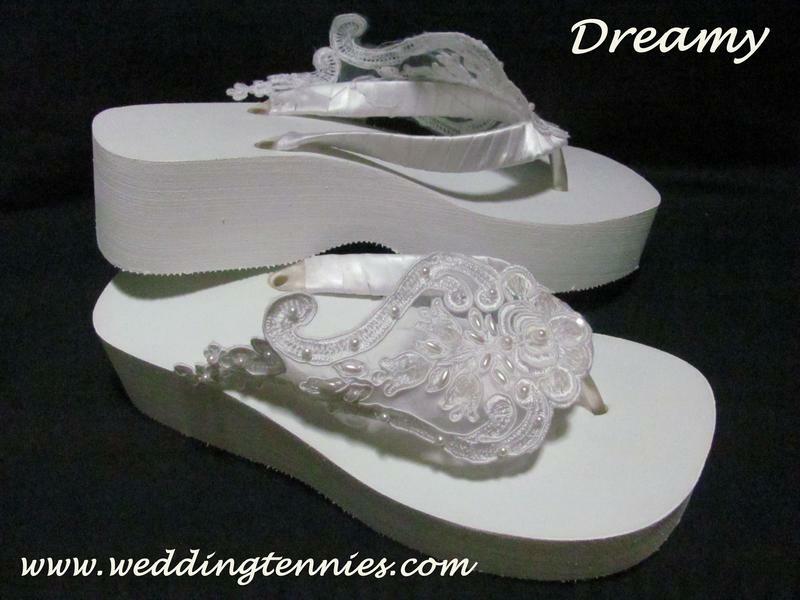 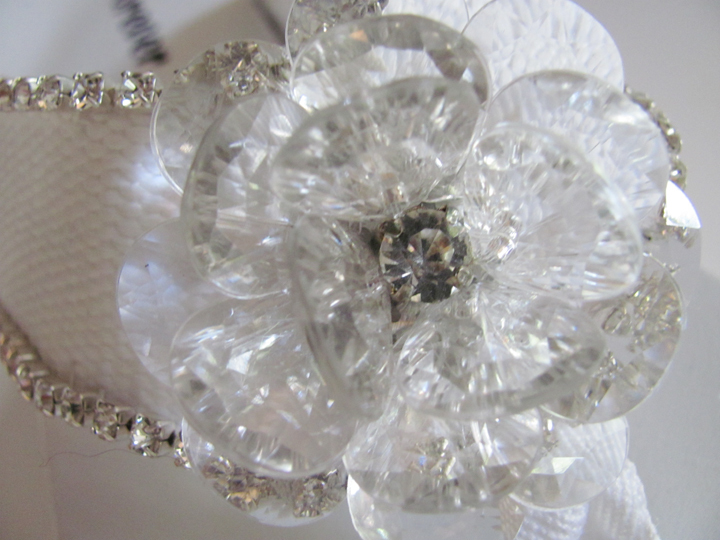 Keep them close by wearing these beautiful Wide Lace straps with photo frame in center. 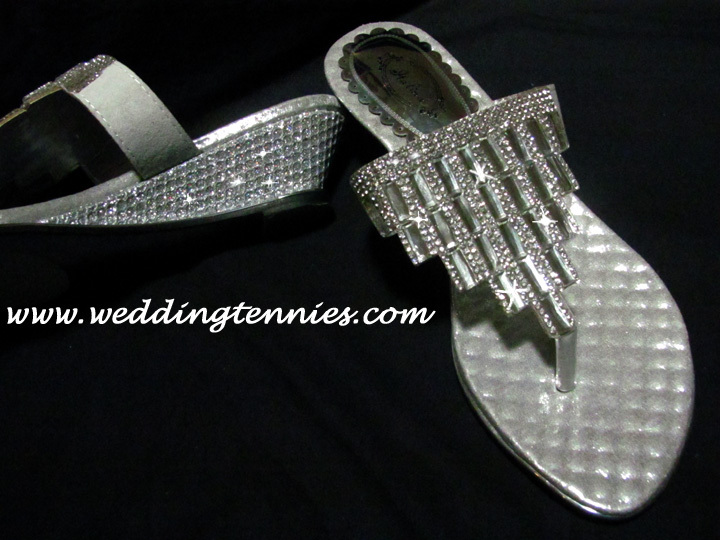 "So her grandpa and dad could actually walk her down the aisle." 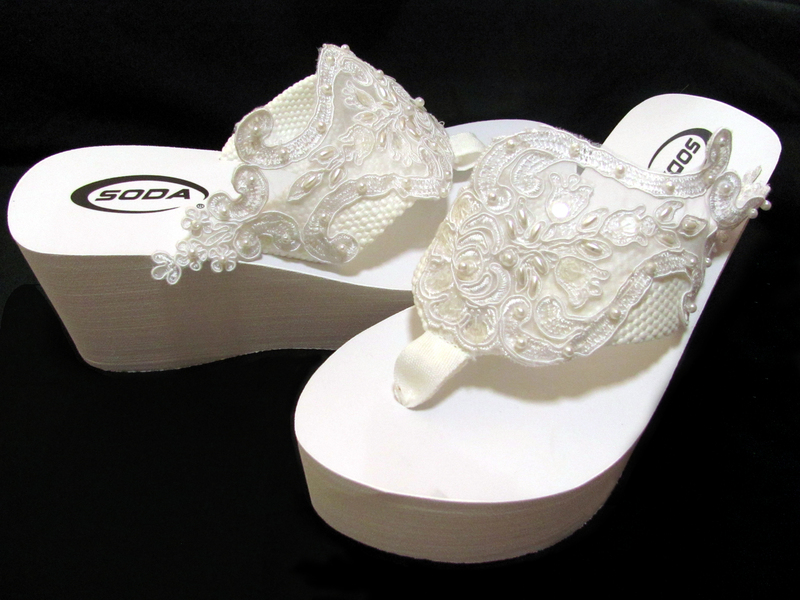 "What's Mine is Mine, What's His is Mine-- I Do"
Pearl lace lining sides of fabric straps. 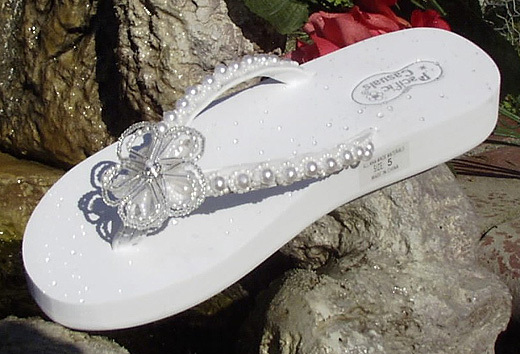 Eva Longoria has been seen in these beauties!